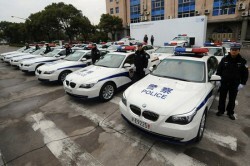 March 30, Shanghai Municipal Public Security Bureau Traffic Police Department was equipped with “BMW 5 Series” police cars for the World Expo escorts. 22 BMW all had lights and sirens installed and police symbols painted on them. 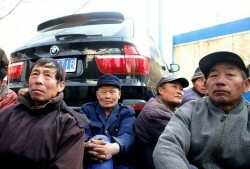 These vehicles will be operated by the Shanghai local police in full service of the 2010 World Expo.